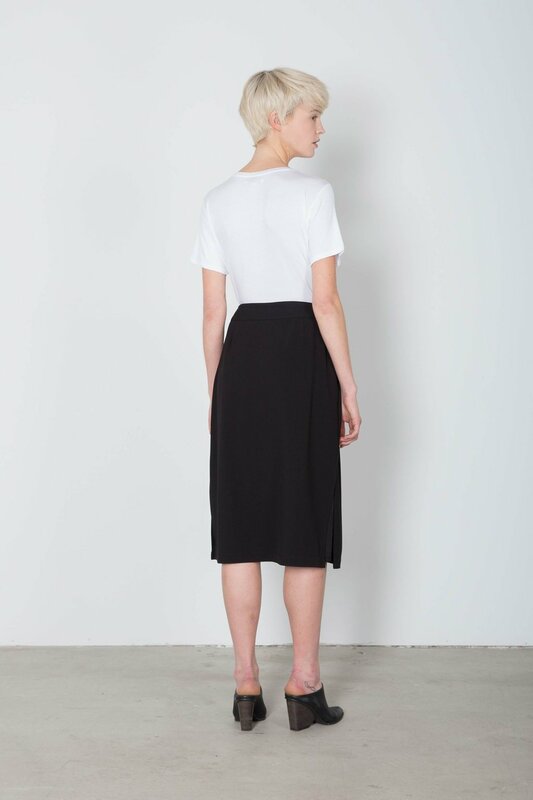 This elegant skirt was designed with unique front pleats that also compliment the angles pockets. The waist band features a beautiful top stitch finish and hidden side zip so you will always look put together. 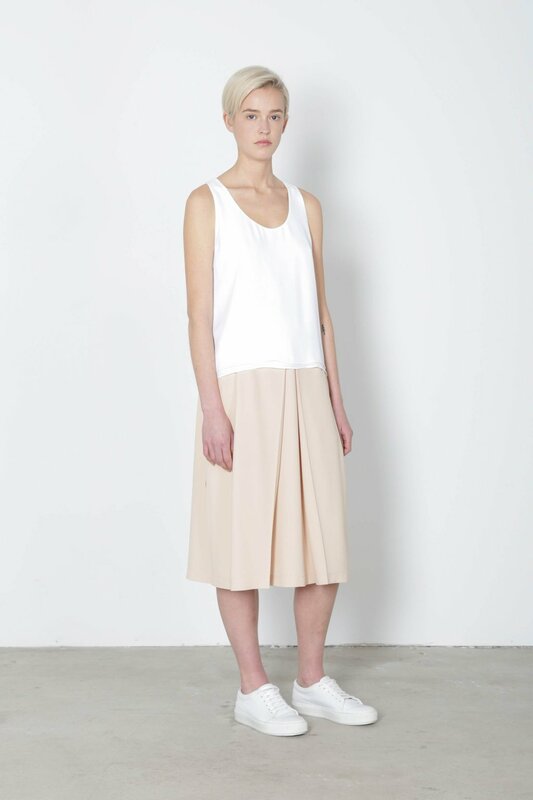 This skirt is completed with a singe side slit and two back darts for shape. Fabric Content: Body: 95% Polyester 5% Spandex Lining: 100% Polyester Care Instructions: Machine wash cold and lay flat to dry. Cool iron. Fit: Relaxed Approximate Measurements: 2: 24" waist x 26" length 4: 26" waist x 27" length 6: 28" waist x 28" length 8: 39" waist x 29" length 10: 39.5" waist x 29.5" length Model's height is 5'9". Model wears a size 4.